Authors, researchers and members of academia who focus on writing journal articles must produce a well-researched, educational and creative article. A journal's technical requirements for submitted articles make writing these articles even more difficult. Because of this, publication of one or more journal articles significantly enhances an individual's resume and standing in their field. A journal has a different purpose than a newspaper or magazine. Journals typically focus on a specific topic, such as economics; a group of people, such as lawyers; or a type of study, such as biology. This differs significantly from other publications, which usually provide general news and other information about a variety of topics. The audience of a journal also differs from the audience of other publications. Journals are directed at individuals familiar with a specific topic or field of study. A journal expects that readers possess basic knowledge about its focus; therefore, academic journals rarely have articles discussing basic information. Most journal articles are complex and contain advanced research or analysis. Journal articles are almost always intended for publication. Otherwise, there would be little purpose in the researcher performing their investigation. Publishing a journal article, however, requires writing an article providing new and intriguing information and that conforms to the publication's guidelines. An individual interested in publishing a journal article must first determine whether their article's topic fits within the journal's purview. Most journals will decline to publish articles that only somewhat relate to their topic. To avoid rejection, the relationship between the article and the journal should be clear. Journals also typically only accept articles that discuss a new development in the field, analyze the impact of a recent discovery or explore an issue that has yet to be investigated. The subject of an article should be interesting, unusual and thoroughly researched. Many journal articles assess evidence gathered from scientific studies, tests or other, similar research projects designed and executed by the author. Plagiarized articles will be immediately rejected. Journal authors do not have to be established in the field, but must rather have completed the necessary research and investigation for their article's topic. This investigation and research could include designing and executing studies or tests, reading texts by a certain author about a subject or gathering all available information on their topic and studying it over a period of months or years. The effort required for this research often means that authors of journal articles often have advanced education or experience in the field, even if they are not considered experts. Very few journals pay authors for their articles. Authors are commonly employed in a field related to the journal's focus, writing articles in their spare time. Writing journal articles is made significantly more difficult by the fact that many journals have strict guidelines and rules for citations and format. The most common citation styles are those of the American Psychological Association (APA), Modern Language Association (MLA) and the Chicago Manual of Style. Lawyers use the Blue Book citation style. If an article's references do not conform to the chosen citation style, the article will likely be rejected for publication. In addition to following a citation style, authors of journal articles must follow certain formats. 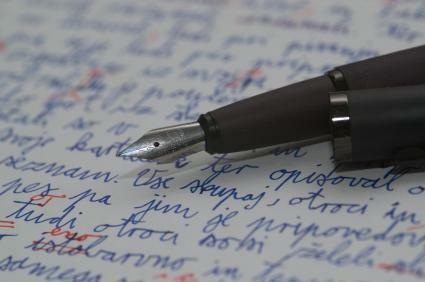 Typically, journals require authors to write an overview of their article; this will appear before the article text if published. Some journals limit the number of sections in an article or prohibit the use of bullet lists. Almost all journals set word limits for submitted articles. Typically, authors submit their articles and a query letter to the journal and the journal selects the articles it desires to publish. Because publication is at the journal's discretion, many submitted articles are never published. Fortunately, authors of unpublished articles retain copyright of their work and can submit their work to another journal for consideration. Coauthoring an article allows multiple parties to publish their work, but share the research and writing workload. Authors may work in different fields and be responsible for different aspects of the study or research for the article. Some coauthors agree to work together before beginning their investigation, while others may combine efforts at another point in their research, possibly at the end. The coauthors determine the extent of their relationship. It is unusual however, for writing the article to be one coauthor's sole reason for joining the association. A published journal article gives the author bragging rights about the article's subject. Sometimes, academic groups or conventions invite published authors to present their article at important events. This additional accolade provides the author with even more credibility in their field.